Executive jet aircraft owned by large corporations for executive travel are declining. Jets are extremely expensive alone, and their required aircrews and ground support teams add enormous financial strain. The only way in which they are an economical endeavor is if they are employed on a frequent basis so as to justify the cost of storage and associated payroll. Instead, many companies have opted to subscribe to private jet companies and charter services, which allow corporations and private individuals alike to guarantee travel availability every day of the year without the burden of owning a fleet and the associated support. Jet charters have surged in recent years and these are the top 10 private jet companies to offer these services. There are not necessarily a wide variety of different types of jet charter businesses; they all share a common thread: lining up clients with available seats. The distinction between types of service lies in how they model their business. For instance, some providers sell fractional ownership to the clients. Essentially, you purchase a percentage of the aircraft and the associated support, and your usage is pro rata to the percentage owned. Other private jet companies sell blocks of time in predetermined increments. The client determines how much usage they require and purchases a block of hours, ostensibly lowering the overall cost. Pay-as-you-fly is another model, although perhaps less sought after since the lack of any outlay of cash or ownership generally makes it harder to secure space availability. The model which sounds most appealing, but is perhaps the most difficult to cultivate, is that of paying a flat rate for unlimited access and usage. A number of companies have promised this and subsequently gone down in flames. It is unclear how a jet charter business could possibly turn a profit on this model when it would require a practically limitless pool of aircraft and pilots, which does not exist. All certified aircraft go down for routine, scheduled maintenance, and the supply of qualified aircrews is finite. Netjets is the oldest and largest private jet company in the world, amassing a fleet of around 700 jets worldwide, of all classes and sizes. They support flights to over 4,000 airports globally, and are made up of over 6,500 fractional owners worldwide. Jet Card: sold in blocks of 25 hours. NetJets Lease: for clients who plan to fly over 50 hours per year but prefer not to own any portion of the asset. NetJets Share: for clients planning to fly over 50 hours annually and do want to own a portion of the aircraft. NetJets Share is a program which allows the client to purchase a share of a specific aircraft, which they are guaranteed certain access rights to. The added benefit of the Share program is that NetJets certifies that you will get your jet, and if that is not available, you get the next tier up, not down. XOJET employs a different game plan than NetJets, paring down their fleet to only two models: the Cessna Citation X, and the Challenger 300 series of jets. Their business model is ownership of 41 aircraft, and preferred partnerships with over 1,300 private owners. The great benefit of exclusively operating a very narrow variety of aircraft is a tremendously reduced logistics train; the downside is that only a select clientele will be able to use the services. Stratos is a U.S.-based broker which operates through partnerships to offer over 5,000 aircraft of all sizes and varieties to charter. They own none of their own aircraft, but instead offer tremendous variety of services by brokerage of services through private owners/operators. Stratos coordinates with clients to provide what the client needs and then taps into their vast network to provide services. They also offer private jet services in two ways: through a Jet Card membership, which guarantees certain availability and locks in a fixed rate, or on demand pricing which gives no certainty to availability or hourly rate. PrivateFly is another network-oriented private jet company which builds its business around centralizing a very large pool of privately owned jets globally and selling seats to executives much like Priceline or Orbitz. PrivateFly claims to have access to a network of over 7,000 jets, allowing them good flexibility to provide the requested service in a compatible aircraft. PrivateFly advertises two services which are fairly unique, those being helicopter charters and pet flights. Jettly advertises to be the “#1 fastest growing private air travel and lifestyle community”. The feel of their website, as opposed to the previous companies, is distinctly Uber-ish with an app that allows clients to check fares and schedule flights all from their smartphone. While it is unclear how small of aircraft their competitors offer, Jettly clearly shows that they offer aircraft of all sizes, including single engine piston airplanes, as well as helicopters. A subsidiary of ultra-popular jetBlue, JetSuiteX appears to be the clear winner in terms of cost. Clients may choose to buy a single ticket, or can charter an entire aircraft if need be. JetSuiteX is limited in scope, as it currently only operates on the West Coast of the United States, primarily inter-California, presumably to cater to Silicon Valley techies. Victor is a private jet company that has compiled a large network of over 200 operators to partner with, offering jets of all sizes to clients globally. Victor requires all partner operators to comply with ISO-9001 standards and provides this information to all clients, ensuring that prospective passengers are fully aware of the standards which their aircrew and aircraft have met. Victor offers an “Empty Leg” service which shows all space available seating on jets which have been chartered and will have empty seats on the return leg. If any of these are compatible, the client is able to inquire and receive a quote on that single leg. The empty leg is a real benefit on several levels: environmentally, because it does no favors to fly an empty jet vice a full jet; and it benefits the owner’s bottom line to have paying customers on both legs. Commercial airlines always fill seats when they build routes, ensuring paying customers will embark and disembark at every destination, whereas charters are generally booked on a one-way sort of arrangement. Serving the European community exclusively, GlobeAir is unlike many competing private jet companies in that it owns and operates its own fleet of jets. Zeroing in on the air taxi market in Europe, exclusively operating the Citation C510 Mustang, a small jet which only requires a crew of one pilot, substantially lowering costs. GlobeAir, like Victor, also offers the empty leg booking to ensure that every mile is a productive and environmentally sound mile. An interesting twist to their business mile, which more charters really should consider, is their express cargo service for urgent documents and small parcels, as well as spare parts up to 136kg. Truly a global charter company, VistaJet is the only private jet company which offers global services with its own fleet. There are a number of companies which charter private aircraft across the globe but no others do so entirely by their own private fleet. VistaJet has set the bar high by abolishing aircraft positioning fees for their Program members and operates a fleet of 70 Global and Challenger jets serving 187 countries world-wide. Chartering everything from King Air 90’s to heavy Gulfstream G650’s, Magellan covers all the bases globally through an extensive network of aircraft owners. Offering both personal and corporate memberships, Magellan has a program which will suit everyone. The corporate membership guarantees aircraft availability within 6 hours, no peak fees or blackout dates, and Wi-Fi availability on all mid-size and larger jets. The personal membership is the most detailed of the group, prompting users to select an aircraft size range (no specific aircraft), amount of hours anticipated in blocks from 25 to 200+, and then allows users to tailor perks, add-ons, and options. Choosing a private jet company to represent your needs, or your corporations needs, is a very big decision because it is not cheap. However, there are a lot of options available and choices to cover almost any requirements around the globe. The reality is that even major corporations who can afford their own fleet still may not find it to be financially sound to do so. 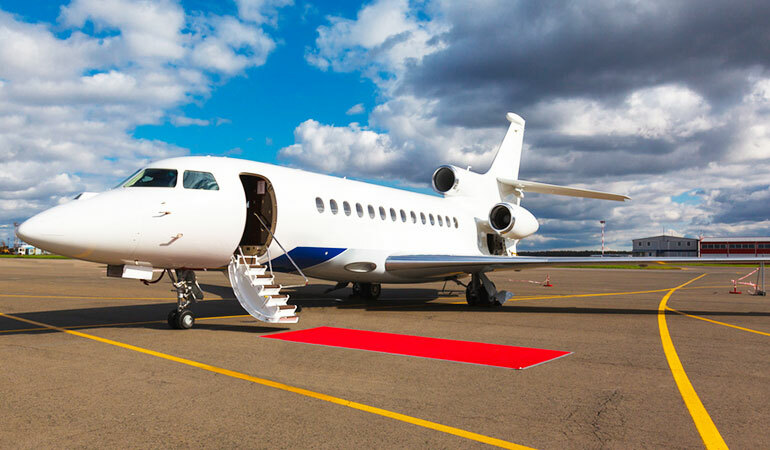 In lieu of ownership, jet charter companies have networked to provide that same level of concierge service to clients of many economic tiers now, not just reserved for the super-affluent. Make sure you, the end user, understand exactly what each option (fractional ownership, shared, pay-per-flight) entitles you to, as well as any hidden fees and associated expenses. Also, keep a keen eye open to make sure that the service you choose is open and transparent about their fleet and their safety record; your livelihood does depend on it. You want to stay updated on news and tips on business aviation? Subscribe to our blog now and get new blog posts right away!